Airbrush Wedding Makeup. What’s that? A lot has been said about Airbrush Wedding makeup technique and how many celebrities swear by it. But, before you opt for this makeup technique, you need to understand it better and then ask yourself, is this the right makeup for me? 1. 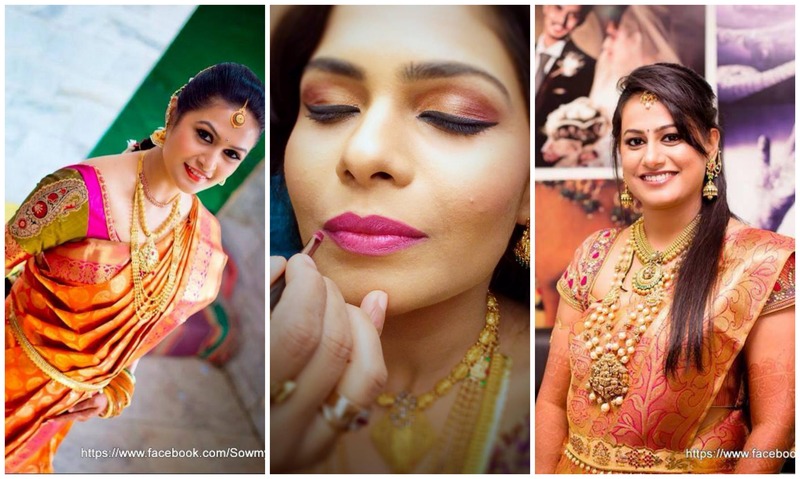 What is Airbrush Wedding makeup? It is a technique which makeup artistes use, in which makeup is sprayed on skin using an airbrush. It eliminates the usage of sponges, brushes or finger. This makeup application trend was started in Hollywood as starlets were amazed by the longevity and flawless finish the airbrush provided. 2. What are the benefits of Airbrush Makeup versus the traditional application process? Its longevity! The Airbrush Makeup lasts 8-12 hours in any weather condition. It’s also water-resistant, so you won’t have to worry about tear streaks. Finally, it won’t rub off! 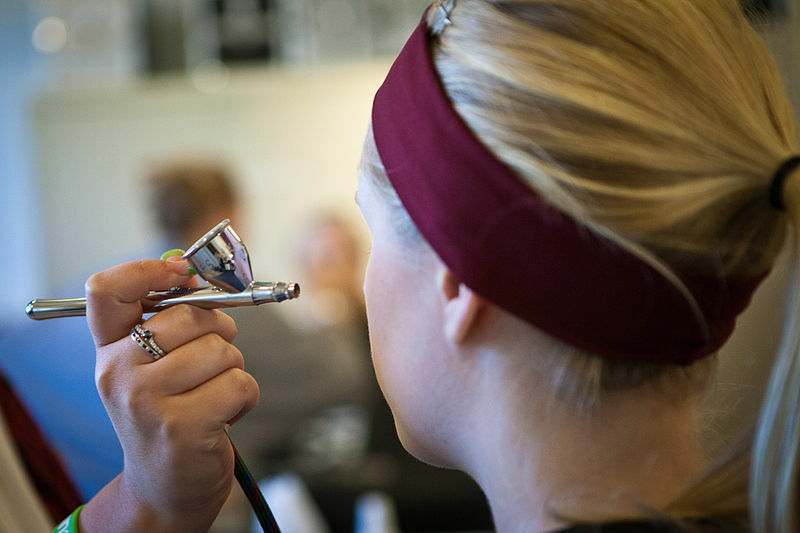 Airbrush tackles all the dreaded bridal makeup woes. It provides an even and natural look. As the makeup is sprayed on, it connects with the skin as millions of droplets of formula. This creates an even, sheer and natural appearance to the skin. If applied properly, it appears natural and non-heavy like traditional makeup. 3. What skin type does airbrushing work best for? The beauty of Airbrush is that it works for everyone, even people with sensitive skin. Clients with allergies will benefit from the water-based makeup formulas, and the air compressor is one of the most hygenic ways to distribute foundation. The application process is quick and it takes only about 45 seconds to a minute. 5. Should a bride schedule a trial-run before her wedding day? Absolutely. Not only is a trial the best way to get to know your artist (and, more importantly, for her/him to get to know you), it is essential in determining your personal look for the day. 6. Can you apply traditional makeup over airbrush foundation? Traditional foundation can be applied over airbrush, but it’s mostly unnecessary. However, Airbrush Makeup is also available for eye shadow, blush, eyebrows and lips. Makeup can be layered, shaded, highlighted and contoured with Airbrush Makeup technique. 7. How do you remove Airbrush Makeup? Even though airbrush is tear-proof, it does not stain and it can be removed simply with soap and water or with makeup remover.